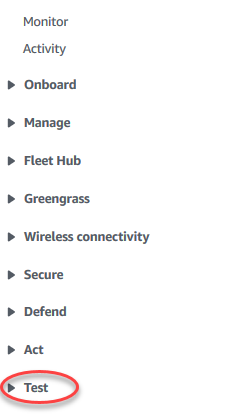 From the navigation pane of the AWS IoT Core console, choose Test. For Quality of Service, choose 0. 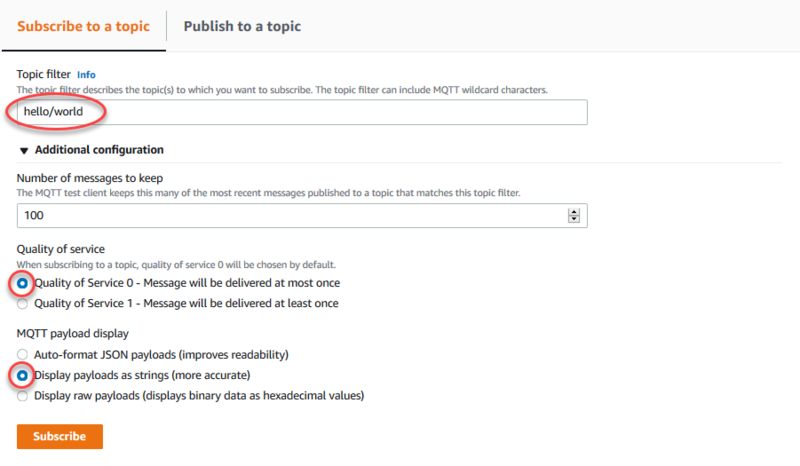 For MQTT payload display, choose Display payloads as strings. Although the Lambda function continues to send MQTT messages to the hello/world topic, don't stop the AWS IoT Greengrass daemon. The remaining modules are written with the assumption that it's running. From the Lambdas page, choose the ellipsis (…), and then choose Remove function. From the Subscriptions page, choose the ellipsis (…), and then choose Delete. The function and subscription are removed from the core during the next group deployment.